Where abouts would you like to be picked up/dropped off from? Where do you want to start from? to type in your pick-up location. Do you want to drop off somewhere else? Check this box if you want to leave your vehicle in a different location. dropping off at a different location? Where do you want to leave your vehicle? Click for a drop-down calendar, then choose your date. What time do you want to start? Choose the hour from the drop-down list. Choose the quarter hour from the drop-down list. How many days do you want to ride? Choose from the drop-down list. How many people will be driving scooters or bikes? Drivers must be 18 years or older. How many people will be riding as passengers? Choose total number of passengers from drop down list. Maximum number of people on a pillion scooter is TWO -- one driver and one passenger. Please note that children FIVE YEARS and older should be tall enough to ride as pasengers. What would you like to ride? Choose selection from drop down list. If you haven't made up your mind and want to see entire fleet, choose "Show me all"
Elbow Beach Cycles specialises in scooter rental for cruise ship passengers and visitors to Bermuda. Hire a scooter moped rental, electric bicycle or pedal powered mountain bike from our shop and we can have your bikes ready and waiting for you when you disembark at any of the ports in Bermuda! Call us now on +1. (800).236.5100 to book your bike, or fast track your booking online for a 10% discount! Cruise Ships calling at Bermuda Ports in 2014. THis Bermuda cruise ship schedule for 2014 is SUBJECT TO CHANGE WITHOUT NOTICE. The impressive MS Explorer of the Seas is set to make a heroic return engagement to Bermuda all through 2014. This fabulous Voyager-class cruise ship is one of the Royal Caribbean International line. The MS Explorer of the Seas is among the biggest cruise ships in the world. It plays host to more than three thousand passengers, along with members of the scientific community. This is partly what makes this incredible vessel unique. It is, as well as being a floating hotel, something of a sea bound laboratory. It houses The Rosenstiel School of Marine and Atmospheric Science run by the University of Miami. The Explorer of the Seas is part of a fleet of five Voyager class vessels. The ship is the property of the US Norwegian line called Royal Caribbean International. It was built at Kværner Masa-Yards Turku, Finland in 2000 and was registered in Nassau in the Bahamas. The Voyagers class are among the biggest cruise ships in the globe. The craft is over a thousand feet in length and has fifteen decks. It weighs a huge 137,308 gross tons, has a crew of 1,180 and ferries over 3000 passengers. The Explorer of The Seas has a three propeller propulsion system, hitting speeds of around 23 knots. If you are planning on exploring Bermuda this summer, then book a place on this excellent cruise ship. It is set for a glorious comeback tour. The cruise ship garnered a lot of attention a few years ago, when it found itself in the centre of a rescue operation. The craft responded to a call for help from a sailboat named Tumbleweed. They had been drifting without power for over ten days, on the waters off North Carolina. The cruise ship found the vessel and saved its three crew members. The awe inspiring Sphinx class cruise ship the AIDAluna will be calling on Bermuda this season. The AIDAluna is the property of Carnival Corp, considered the biggest cruise ship operator in the world. This duel listed firm, part British, part American firm, is based out of Carnival Place, Miami, Florida, USA, as well as the Carnival House office building in Southampton, England. The cruise ship AIDAluna is operated by AIDA Cruises, a joint US and UK owned Germany company. The vessel was assembled at the Meyer Werft shipyards, in the city of Papenburg, Germany. A member of the 10 strong AIDa fleet, the AIDAluna has been in service since 2009. She can carry up to 2,100 passengers and has a crew of 607. The ship has a 69,203 gross tonnage and can reach speeds of 22 knots. The craft has 13 decks. It boasts over a thousand state rooms, eleven bars and seven restaurants. This is alongside a luxury spa and a huge onboard facility across three levels. It is called the Theatrium and can be used as a 3D cinema and a theatre. These are amongst the many wondrous attractions aboard the AIDAluna. The luxurious Norwegian Dawn is another old friend who will be making numerous visits to Bermuda in 2014. This incredible Libra class cruise ship belongs to the renowned Norwegian Cruise Line and has been in service since 2002. The Norwegian Dawn has been a popular cruise ship with passengers for over a decade. The ship is 92,250 tonnes and is 292 m (958.0 ft) in length. It is furnished with 15 decks, holding up to 2,224 passengers. It also has a crew of 1,073. What’s more, she uses a two ABB Azipod (electronic podded propulsion unit) system to travel up to an impressive 25 knots. The Norwegian Dawn offers such exciting facilities as restaurants, bars and play and activity areas. The cruise ship is also known for its unique twin Garden Villa staterooms and a towering atrium, taking in eight-decks. The vessel is also known for being the first of the fleet to contain hull art. It proved to be a great success and has been continued in various other ships in the line. These are as well as other intriguing innovations. The Norwegian Dawn was originally supposed to be called SuperStar Scorpio and run by Star Cruises. However, she eventually became the propriety of Star’s sister company, Norwegian Cruises. She was first built at the Meyer Werft shipyard in Germany and registered at Nassau in the Bahamas. The vessel cost approximately $450 million at the outset, but she went through an overhaul in May of 2012. This led to the opening of a brand new restaurant called the Brazilian steakhouse. This is as well as adding about 50 extra cabins. The cruise ship furthermore made alterations to the gift shop, conference rooms, children’s play area and the art gallery, among other features. The remarkable MS Regatta will be another welcome addition to the Bermuda shoreline this year. She will be making numerous visits to the island throughout 2014, where passengers can experience the beauty of Bermuda for themselves. They will be ferried there on the striking Regatta class cruise ship. It is considered one of the prizes of the Oceania Line. The MS Regatta has the capacity to hold 824 passengers over 9 decks. She is staffed by a dedicated crew of 386. The mighty MS Regatta has a gross tonnage of 30,277 and is 180.96m (593.7ft) in length. She is complete with a 2 propeller propulsion system and can go as fast as 18 knots. “It is famous for its opulent staterooms, most of which have their own terraces. This is along with having more than 300 lush suites. They are found on striking decks fashioned in wooden teak, complete with made to order tiling and stone finishing. The MS Regatta was originally built at the Chantiers de l’Atlantique shipyard St. Nazaire, France in 1998. The ship was formerly called the MS R Two and belonged to Renaissance Cruises. The vessel changed hands in 2001 and was sold to Cruiseinvest. The following year, renamed MS Insignia, she was chartered out to Oceania Cruises. The cruise ship was then rechristened the MS Regatta in 2003. The former R class cruise ship was initially registered in the port of Monrovia, Liberia from 1998 to 2001. She was then registered at Majuro, in the Marshall Islands in the North Pacific Ocean, from 2001 to the present day. The beautiful cruise ship Seven Seas Navigator will be sailing to Bermuda this season. The luxury vessel belongs to the Regent Seven Seas Cruises line, formerly known as Radisson Seven Seas Cruises, based in Miami, Florida. The ship has had a fascinating history. Its hull was originally constructed in Admiralty Shipyard, in Leningrad in the onetime USSR. It was initially designed to be part of a Navel satellite tracking ship. However, Radisson Seven Seas Cruises purchased the hull and completed the work at the Mariotti shipyard in Genoa, Italy in 1999. The Seven Seas Navigator has since risen to become a prominent cruise ship. It even appeared in a Hollywood movie, `After the Sunset` with Pierce Brosnan and Salma Hayek. The ship has been in service since 1999. She can reach speeds of over 19 knots, thanks to two controllable pitch propellers. The magnificent GTS Celebrity Summit will be bringing scores of tourists to Bermuda through the cruise ship season. The millennium class vessel is based in New York and is owned and operated by Celebrity Cruises. The GTS Celebrity Summit was first built in 2001 by the Chantiers de l’Atlantique shipyard in St. Nazaire, France. The ship was initially christened the GTS Summit, but was later renamed the GTS Celebrity Summit in 2008. The cruise ship has an imposing gross tonnage of 91,000. She is approximately 965 ft in length and has 11 decks. The ship can transport 2,450 passengers in total and has a crew of 999. The vessel can also make the incredible speed of 24 knots. This is due to having a propulsion system comprising of diesel electric twin Rolls Royce Mermaid azimuth thrusters. The GTS Celebrity Summit was originally registered in Liberia, Monrovia in 2001. It was then registered in Bahamas, Nassau a year later and finally in Malta, Valletta, from 2009 to the present day. The GTS Celebrity Summit has also been acclaimed for its distinctive restaurant, featuring actual ornaments and paneling from the historical ocean liner the SS Normandie. It was the greatest passenger ship in the world in 1935. The GTS Celebrity Summit continued in the same tradition by going through a major overhaul in 2012. She added 60 new staterooms and Solstice-Class features to increase her size. The MS Riviera, the sister ship of the MS Marina, will be bringing passengers to Bermuda in 2014. The Oceania-class vessel is owned and operated by Oceania Cruises. She was built at the Fincantieri shipyards and registered at Marshall Islands. The craft has been in service since 2012. The MS Riviera is a notable 785 ft in length and has a gross tonnage of66, 084. The ship has 15 decks in total, 11 of which are open to the public. The cruise ship has the capacity to hold 1,250 passengers and has a crew of 800. The vessel is also equipped with a diesel-electric power supply and two pitch propellers. This lets the ship achieve speeds of up to 20 knots. The MS Thomson Dream is another cruise ship which will be making tourists fantasies come true this year, by ferrying them to Bermuda. This is a vessel with a long and interesting history. She is currently the property of the TUI UK Ltd travel group and is chartered to Thomson Cruises. The cruise ship was originally called the MS Homeric. She was built at the Meyer Werft shipyard in Papenburg Germany, in 1986. Back then, the craft belonged to the Italian Home Lines company. She was sold to the Holland America Line two years later and rechristened the MS Westerdam. The ship underwent a renovation in 1990. The craft then joined the Costa Cruises fleet under the name the MS Costa Europa in 2002. The vessel later began its charter ship at Thomson Cruises in 2010, prompting a further name change. The cruise ship now called the MS Thomson Dream is 798ft in length and has a tonnage of 54,763 GT. The ship can carry over 1,506 passengers and has 12 decks, 9 of which are accessible to the public. The vessel is also manned by a crew of 600 and can reach speeds of 20 knots. 2014 sees the luxury cruise ship the beautiful Emerald Princess making a return engagement to Bermuda. She will be visiting the island throughout the year. The Grand class cruise ship is a part of the Princess Cruises line. She has been in service since 2007 and is sister to ships the Crown Princess and Caribbean Princess among others. The Grand class vessel is known for its extraordinary atrium, resembling a piazza, as well as housing two hot nightclubs. The vessel also boasts a spa and gymnasium, with pools and hot tubs. These are among the various attractions to be found on board. The Emerald Princess was constructed at the Fincantieri shipyard in Italy in 2006, at a cost of $500 million. The ship was also actually registered right here on the island, in Hamilton in Bermuda. She has a propulsion system using two azimuthing pods, to reach speeds of over 21 knots. The Emerald Princess set off on her maiden voyage in 2007 and now travels all over the world. The Silver Spirit is another stunning vessel set to visit Bermudas shores. She is a super luxury cruise ship class owned and operated by Silversea Cruises. The craft has the distinction of being the biggest member of the fleet. She was built by Fincantieri in Ancona and has been in service since 2009. The cruise ship weighs around 36,000 GT and is 642 ft in length. The vessel has a crew of 376 and can hold up to 540 passengers. The ship can go as fast as just over 20 knots at full capacity. The Silver Spirit also has around 270 suites with an ocean view. There are also a number of restaurants and spa and it has its own musical venue, the Stars Supper Club. It resembles a nightclub, with live music and disco dancing. The Celebrity Eclipse will be a shining light on the Bermuda shoreline this season. The Solstice-class cruise ship is owned by Celebrity Eclipse Inc and operated by RCL Cruises Limited. She was the third Solstice-class vessel, alongside her sisters the Celebrity Solstice and Celebrity Equinox and a fourth ship, the Celebrity Silhouette. The vessel had its maiden voyage in 29 April 2010. She has 17 deck and a gross tonnage of121, 878. The ship is 1,040 ft 6 inches long and holds 2,850 passengers. The cruise ship has a crew of around 1,271. She can reach an impressive speed of 24 knots, thanks to a propulsion system comprising of two ABB Azipods and three Wärtsilä CT300 bow thrusters. The MS Grandeur of the Seas is becoming something of an old friend to Bermuda and you can expect further visits from this glorious cruise ship in 2014. This beautiful Vision class vessel is truly a sight to behold. She is run by Royal Caribbean International. The ship was first constructed at the Kværner Masa-Yards Hietalahti shipyard, in Helsinki Finland, in 1996. The vessel was registered in Nassau in the Bahamas. The MS Grandeur of the Seas has a grand tonnage of 73,817 GT and is 915 ft in length. She extends across 11 decks and can carry up to 2,446 passengers. You will be well cared for by a crew of 760. The ship furthermore has a diesel electric two shaft propulsion system and can make speeds of up to 22 knots. The cruise ship offers various attractions like whirlpools, a jogging track and a spa. There are also numerous bars and restaurants on board to make your trip more enjoyable. The Ruby Princess is a glorious Grand-class cruise ship due to arrive in Bermuda in 2014. The vessel is the property of its operator Princess Cruises. The ship stands proud alongside her sisters, the Emerald Princes and the Crown Princess. The Ruby Princess was first put together at the Fincantieri shipyard in Trieste, Italy in 2008. She was formerly the biggest ship of the fleet, before the construction of the recent Royal Princess. However, the Ruby Princess is still a formidable 113,000 tonnage and is 951 ft in length. The ship has 19 decks and can hold up to 3,080 passengers. The ship has a crew of 1,200 and twin propellers which help the ship make 23 knots. The cruise ship offers such exciting features as Grand Class interior design. This is as well as boasting the Skywalkers Night Club and the one of a kind Ultimate Ship Tour. This lets passengers witness the day to day running of the ship up close. The MS Europa 2 is an extraordinary new cruise ship ran by the German transportation company Hapag-Lloyd. The vessel was built at the STX Europe shipyard in Saint-Nazaire, France and was launched two years ago. She was registered in Valletta in Malta and set off on her maiden voyage in 2013. The ship has seven different themed restaurants, from Asian and French to Italian and others. There are also half a dozen bars, a spa, a golf simulator and a 15m swimming pool. The cruise ship measures 740ft in length and has a tonnage of 42,830. The vessel has 7 passenger decks and a capacity for 516. They will be tended by a crew of around 370. The ship can also make speeds of around 21 knots. The Ocean Princess is a beautifully appointed R class cruise ship. She is the sister of the Pacific Princess and is the property of Princess Cruises. The ship was formerly known as R Four and the Tahitian Princess. She was first built in the Chantiers de l’Atlantique shipyard in St. Nazaire, France in 1999. The ship, then called the R Four, was originally registered in Liberia, Monrovia, when it belonged to Renaissance Cruises. However the vessel changed hands and changed its name in 2002. The ship, under the name Tahitian Princess, was registered in Gibraltar. The vessel was then registered once more, under its current name, right here in Bermuda in 2005. The Ocean Princess now has 11 decks, 9 of which are open to the public. The ship can hold 826 passengers in all berths and it has a crew of 373. The cruise ship also utilizes a twin propeller set up, which lets it reach speeds of 18 knots. It is furthermore 593ft 10 inches in length and has a gross tonnage of 30,277 GRT. The Norwegian Breakaway is a fellow member of the Norwegian Cruise Line coming to Bermuda in 2014. The Norwegian Breakaway is the sister of the Norwegian Getaway. It has the distinction of being named the 8th biggest cruise ship in the world. The craft was built by the Meyer Werft shipyard in Germany. She was registered in Nassau in the Bahamas and launched in September 2011. The cruise ship has a colossal 144,017 gross tonnage and is 1,063 ft long. She covers 18 decks and can carry a maximum of 4,500 passengers. It has a crew of 1,600 and can make speeds of 21.5 knots. The cruise ship the MS Vision Of The Seas will be quite a sight when it arrives on the Bermuda shoreline this year. The MS Vision of the Seas is a Vision-class vessel ran by Royal Caribbean International. She was initially built by the Chantiers de l’Atlantique Saint-Nazaire shipyard in France in 1998. She later underwent a dry dock refit in 2012. The MS Vision Of The Seas now has a gross tonnage of 78,491. She is 915ft in length and is complete with 10 passenger decks. The ship can hold 2,416 passengers and has a crew of 765. The ship has many wonderful features on board. They range from themed bars and lounges to an outdoor saltwater pool. It has a choice of indoor and outdoor whirlpools and a solarium. There is an exterior atrium called the Centrum and an outdoor cinema screen. This is along with having a fitness centre and a rock climbing wall, among other facilities. Passengers could also play at the Casino Royale, when the ship is in due clearance of land. 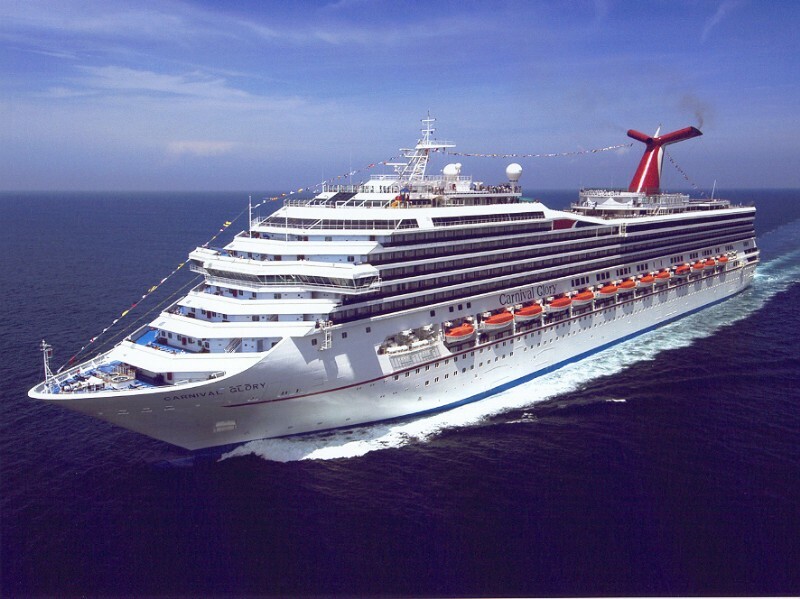 The Carnival Splendor is truly a one of a kind cruise ship which will be calling on Bermuda in 2014. The ship is the solitary Splendor class vessel, owned by Carnival Corporation & plc and operated by Carnival Cruise Lines. She is a more compact version of the Concordia-class cruise ship ran by Costa Cruises. The ship was originally intended to join the Costa fleet under the name the Costa Splendor. However, during construction, the craft was transferred to the Carnival Cruise Lines. The Carnival Splendor was formerly the biggest ship in the fleet before the arrival of the Carnival Dream. The Carnival Splendor was built at the famous Fincantieri shipyards in Italy at a cost of $697 million and was registered in Panama. The cruise ship has the capacity for 3,006 passengers and has a crew of 1,150. The vessel has a gross tonnage of 113,323 and is 950ft in length. The vessel has 13 decks and can make speeds of 21 knots. She is equipped with a pair of diesel-electric shaft converteam propulsion motors. The MS Insignia is a remarkable cruise ship which will be bringing passengers to Bermuda in 2014. She belongs to the Regatta Class and is the property of Oceania Cruises. The craft was originally constructed in 1998 at the Chantiers de l’Atlantique shipyard in St. Nazaire, France. The vessel has undergone various names and passed through different owners. When she was first built she was called the R One and belonged to Renaissance Cruises. She was registered in the Republic of Liberia in West Africa. In 2001, the ship passed to a new owner Cruiseinvest. She was registered once again in the Marshall Islands . Three years later she was rechristened the Insignia. Cruiseinvest owned her until 2006 when she passed to Oceania Cruises. The ship was chartered out to the German company Hapag-Lloyd in 2012, who called her Columbus 2. However, when their two year lease ended, the ship went back to Oceania Cruises, who gave her back the name the MS Insignia. The cruise ship has an impressive 30,277 gross tonnage and has 9 passenger decks. It is 592.0ft in length and can hold 684 passengers in its lower berths. The ship has a crew of 400. The MS Insignia also boasts a two propeller propulsion system to make speeds of 18 knots. Bermuda has also welcomed the incredible cruise ship the Pacific Princess, which always makes its passengers feel like royalty. The R class cruise ship is owned by Princess Cruises. It is a joint British-American cruise line, based in California. The craft is run by Princess Cruises; in partnership with P&O Cruises Australia. The cruise ship was built at the Chantiers de l’Atlantique shipyard in St. Nazaire, France, in 1999. It was originally known as the MS R Three and was the property of Renaissance Cruises. However, Princess Cruises took ownership of the vessel in 2002. The ship was renamed Pacific Princess in December of that year. The ship has a crew of 373. It holds 688 passengers in the lower berths and 826 altogether. The vessel weighs 30,277 GRT tonnes and is 181.00 m (593 ft 10 in) in length. It employs a two propeller propulsion system, to reach speeds of 18 knots (33.34 km/h). The MS Legend of the Seas, the sister ship of the Splendour of the Seas, will be travelling to Bermuda in 2014. The Vision Class cruise ship is owned by Royal Caribbean Cruises Ltd and operated by Royal Caribbean International. She has the distinction of being the furthest travelled vessel in the line. She was built at the French Chantiers de l’Atlantique shipyard and has been in service since 1995. The ship was initially registered in Liberia, Monrovia in 1995 and then Nassau in the Bahamas in 2002. The MS Legend of the Seas made its maiden voyage in May 1995. She has 11 decks and a gross tonnage of 69,130. The ship has a crew of 720 and has the capacity for 2,074 passengers. She can also hit speeds of 27 knots. The cruise ship has many fabulous attractions to enhance the enjoyment of its guests. These include having a mini golf course, a rock climbing wall, a spa and a fitness centre. The ship has its own cinema, theatre and shopping mall. It has various themed bars, a piano bar, a disco and a huge dining room called the Romeo & Juliet, alongside other features. The Balmoral is a cruise ship belonging to the UK-based, Norwegian-owned Fred. Olsen Cruise Line. The ship was first built by the Meyer Werft shipyard in Germany in 1988. She was originally known as the Crown Odyssey and was the property of the Royal Cruise Line. The vessel would experience further name changes and pass through different owners, before being acquired by Balmoral Cruise Ltd in 2007. This was round about the time the ship underwent a refit at the Blohm + Voss shipyard in Hamburg, Germany. The Balmoral now has 10 passenger decks and a gross tonnage of 43,537. She is 714ft 11inches long and can hold 1,778 passengers. They are tended to by a crew of 471. The Silver Whisper is the cruise ship on everyone’s lips. The vessel has been in service for over a decade, since 2000. It was made at the renowned Mariotti Shipyard in Genoa, Italy. It was also the home of her sister ship The Silver Shadow. The Silver Whisper is operated by Silversea Cruises. It has a crew of 295 and carries 382 passengers. The ship also boasts ten decks and has a 28,258 gross tonnage. This makes it a dazzling cruise ship worth shouting about. Don’t keep it to yourself. The Azamara Quest is one of the many wonderful cruise ships to have paid a call on Bermuda. The R-class vessel belongs to the US Norwegian Azamara Club Cruises (once called Azamara Cruises) line. The ship was first built in 2000 at the Chantiers de l’Atlantique shipyard in Saint-Nazaire, France. The vessel has had many names, owners and operators, but has now been christened the Azamara Quest. The cruise ship was originally registered in 2000 in Monrovia, Liberia. It was registered again in Majuro in the Marshall Islands in 2001 and then again most recently in 2006 in Valletta, Malta. This compact, but luxury craft has 11 decks, 9 of which are open to the public. It can carry a maximum of 702 passengers and has a crew of 408. The ship is also 181.00 m (593 ft 10 in) in length, and can reach speeds of up to 18 knots. The cruise ship is complete with a wide range of activities to make your trip more enjoyable. They range from having its own stores and casino, to a cyber café, swimming pool and many more. The Azamara Journey is among the long line of luxury cruise ships that have paid a call on Bermuda. The R-class cruise ship is owned and operated by Azamara Club Cruises, which is a subsidiary of Royal Caribbean Cruises. The vessel was built in 2000, at the Chantiers de l’Atlantique shipyard in France. It was originally called the R Six and belonged to Renaissance Cruises. However when the company went out of business, the ship found a new home and was given a new name. It was re-christened the Blue Dream and chartered out to the Pullmantur Cruises fleet in 2006. The vessel then became the property of Azamara Club Cruises in 2008, who renamed it The Azamara Journey. The mighty ship weighs over 30,000 tonnes and can hold up to 694 passengers. It has a crew of 407 and has 11 decks. It boasts a buffet and two specialty restaurants. There is a one storey dining room called Discoveries. This is along with having a casino, a swimming pool, stores and a Martini bar, among other features. It provides its passengers an adventure they will never forget. The extraordinary MS Enchantment of the Seas is due to make a glorious return to Bermuda in 2014. This excellent Vision class cruise ship is operated by Royal Caribbean International. The MS Enchantment of the Sea was first constructed in 1997 by the Kvaerner Masa Yards Helsinki New Shipyard, Finland. The cruise ship had a pair of skewed fixed pitch propellers made in Sweden installed. She was also amongst the original vessels to be fitted with a Dynamic Positioning System (DPS). The craft was originally registered in the city of Oslo in Norway the year she was built. The MS Enchantment of the Sea was then registered once more in Nassau in the Bahamas in 2005. The ship has been in service since 1997. It is now approximately 988 feet in length, with a gross tonnage of over 80,000. The craft now incorporates 11 decks and ferries over 2,446 passengers. The vessel provides its passengers with excellent facilities, such as the two storey `My Fair Lady` dining room and the Chops Grille specialty restaurant. There is also the Windjammer cafe buffet and a piano bar. This is alongside having numerous bars and lounges and a disco. There is shopping, a spa, a health club, a solarium, swimming pools and a theatre, among other attractions. The MS Enchantment of the Sea then underwent a massive renovation in 2005. The cruise ship has around 150 extra state rooms. This is as well as having further facilities like a larger swimming pool and a 64-jet interactive fountain area. There are also an outdoor trampoline bungees and floor windows looking down at the ocean to name but a few. The Carnival Miracle is another excellent cruise ship which has ferried tourists on holiday to Bermuda. The spirit class vessel is the property of the Carnival Corporation & PLC line and is run by Carnival Cruise Lines. This spectacular cruise ship was completed in 2004 at the cost of $375 million. The cruise ship has 12 decks and weighs an impressive 88,500 gross tonnage. This is along with being 963 feet in length. It is worked on by a fantastic crew of 930, taking care of 2,124 passengers. This makes it the hottest carnival on the water, where it’s always fiesta time. The cruise ship is also incredibly fast. It is propelled by two ABB Azipods and is equipped with six diesel engines. This lets the vessel reach speeds of 22 knots. The Carnival Miracle is furthermore renowned for its opulent appointments. Most of the staterooms have private balconies with a view of the ocean. The cruise ship is known for its magnificent Metropolis atrium which extends for 11 storeys. She is also decorated with portraits of famous fictional characters outside the rooms, from Sherlock Holmes to Long John Silver. The Norwegian Star is a stunning cruise ship which has been lighting up the Bermuda shoreline for many years. 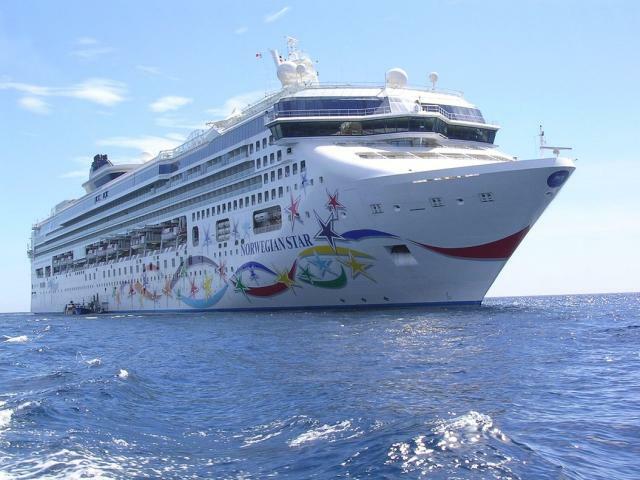 The incredible Dawn class vessel is operated by the Norwegian Cruise Line. The Norwegian Cruise line ship has been travelling the waves for over a decade. It was constructed at the Meyer Werft in Germany in 2001. The ship was the first of its class to be built at the yard. She is served by a crew of 1083, with the capacity for 2,348 passengers. The vessel was christened in Miami, Florida and registered at Nassau in the Bahamas. The vessel is distinctive for being a Panamax cruise ship; which means it meets the size limit to travel through the Panama Canal. The ship is an impressive 965 ft long with a beam reaching just above 105 ft. She is also fitted with a diesel electric propulsion system, with two ABB Azipods and three bow thrusters. These allow the cruise ship to travel at speeds of over 24 knots. Bermuda, in the past had been visited by a fellow shining light of the Norwegian Cruise Line. It is the Jewel class cruise ship the Norwegian Gem. The cruise ship was originally put together at the Meyer Werft shipyard, in Papenburg, Germany and was registered in Nassau in the Bahamas. The ship cost US$ 700 Million and has been in service since 2007. The ship also boasts a Pod propulsion system. Norwegian Gem is an incredible 965 ft long, with a beam of 106 ft. It weighs an awe inspiring 93,530 tons and extends for 15 decks. The ship has over 1100 crew members on board and caters to 2384 passengers, across 15 decks. The vessel has also adopted a famous “Freestyle” type of cruising; where passengers can sit down to eat at any restaurant onboard, without worrying about dress codes or schedules. People can dress as they like and eat when they like aboard the Norwegian Gem. The marvelous Dutch cruise ship the MS Veendam has paid a call on Bermuda on several occasions. This beautifully appointed vessel belongs to Carnival Corporation & plc and is operated by the Holland America Line. The MS Veendam derives its name from the capital city of a peat colony in the North of Holland – there’s also a Dutch soccer (football to those outside the US!) team called Veendam. The ship was first built at the Fincantieri – Cantieri Navali Italiani shipyard in Italy in 1996 and was registered in the Netherlands. The ship cuts an impressive sway at a 57,092 gross tonnage, with a recently added duck tail stern which gives it world-class, innovative, balance. She is 719 ft (219 m) in length, with a crew of580. She has 11 passenger decks, swimming pools, gyms and spas. There there’s amazing al fresco dining, as well as other world cuisine including American, Chinese and Thai. It also has a number of bars and a casino alongside other attractions. The ship furthermore has an almost unique ‘Digital Workshop’. Here, children and adults alike can learn how to get the most out of their holiday snaps and footage, as it offers fun, free learning about digital photography, video editing, blogging and social networking. When the vessel underwent a refit, it resulted in two awesome decks of balcony cabins and an extra pool. The ship also has rooms with private verandas (balconies) – perfect for lounging in the sun in private! The MS Ryndam is another beautiful Dutch cruise ship which has made a triumphant visit to Bermuda in the past. The glorious Statendam-class ship is operated by the classical Holland America Line. The MS Ryndam is owned by the Carnival Corporation. She was built by the Italian Fincantieri shipbuilding company in 1994 and was registered in Nassau in the Bahamas and then Rotterdam in the Netherlands. It has an imposing gross tonnage of 55,819 and is 720 feet long. The ship is spread across ten decks, has a crew of 602 and carries up to 1,258 passengers. The vessel is a throwback to the days of the Dutch explorers. The eye catching interior design was modelled on the MS Nieuw Amsterdam and the MS Noordam. It has on display, various artwork from the 17th and 19th century. Passengers can additionally take in the Crows Nest, the Explorers lounge and the luxurious Lido Restaurant. The Carnival Pride is another stunning international cruise ship which the island has been proud to receive. It is a Spirit-class cruise ship which is owned by Carnival Corporation & plc and operated by Carnival Cruise Lines. Quote Carnival Pride holds a maximum of 2,124 passengers and has a committed crew of 930. The ship is also about to have a major upgrade, in order to improve its facilities. The extraordinary MS Europa is an international cruise ship which has also paid a call to Bermuda’s shoreline in the past. This is a cruise ship with a strong connection with the past. It is the fourth vessel to be so christened the Europa. This version of the MS Europa belongs to the German firm Hapag-Lloyd and is operated by Hapag-Lloyd Cruises. She was constructed at the Kvaerner Masa-Yards Hietalahti shipyard in Helsinki, Finland and registered in the Bahamas. The vessel has also been named the “best cruise ship in the world” for the 12th year in succession by Ward-Ranking and Berlitz. The cruise ship has 204 suites, 168 with their own veranda. These are across seven beautiful decks. The MS Europa has a gross tonnage of 28,890 and is 198.60 m in length. It has a crew of 280 and holds up to 408 passengers. She can also reach up to speeds of 21 knots. The striking MS Hamburg is an amazing passenger cruise ship which has made numerous calls on Bermuda. It is the beautifully compact luxury liner, formerly known as Columbus. The MS Hamburg was originally constructed in 1997. It is run by the Bremen based PlantoursKreuzfahrten company and belongs to the Conti Group. The vessel is an enormous 15,000-tonnes and can make 18 knots. It can hold 420 passenger and has a crew of 170. The ship is 144.13 m (472 ft 10 in) long and is known for its flexibility. It is moreover noted for having a series of six decks, each with their own distinctive interior design. They are coated in a particular colour, with its own individual meaning and theme. For instance, Deck 1 is presented in a soothing light blue, while Deck 2 is in a striking green. Deck 3, which hosts the beautiful lobby, reception area and dining room, is coated in a moody dark blue. The brilliantly red Deck 4 lets passengers have a drink in the bar, or take in a show in the concert hall. Deck 5 though, in a beautiful sunny yellow, has shops where passengers could pick up a souvenir of their time on-board. Tourists could also relax in the lounge, or lose themselves in a book from the on ship library. This is before exercising in the fitness room, having a dip in the swimming pool, or enjoying the tranquility of the palm garden. These are all located in the appropriately named Sun Deck. There is a particular cruise ship whose arrival is always music to the ears of the people of Bermuda. That is the beautiful Crystal Symphony. The cruise ship is owned and operated by Crystal Cruises, from Japan. The ship was constructed in 1992, in Finland. It was built at the shipyard then called Kvaerner Masa-Yards. But it is now known as STX Finland Cruise Oy, in the city of Turku. The ship has been in service since 1995 and has a rich history. The Crystal Symphony underwent a refit five years ago, in 2006. It was, at the time, the biggest operation of its kind performed by Crystal Cruises. It cost at an incredible USD 23 Million. The ship had a further refit three years later, in 2009. The Crystal Symphony now has 12 decks; 8 of which are open to the public. It can carry 922 passengers and has more than 540 members of crew. The ship also employs a 2x diesel-electric propulsion system. It can hit speeds of a maximum of 21 knots. If there was ever a cruise ship where the journey could be called a dream come true, it is the Carnival Fantasy. The Number 1 ship of the Carnival’s Fantasy class is operated by Carnival Cruise Lines and is the property of Carnival Corporation & plc. This particular vessel is the longest running of the Cunard line. It was finished over two decades ago, back in 1990. The Number 1 ship of the Carnival’s Fantasy class is operated by Carnival Cruise Lines and is the property of Carnival Corporation & plc. This particular vessel is the longest running of the Cunard line. It was finished over two decades ago, back in 1990. The ship has 10 glorious decks and weighs an awesome 70.367 tons. It is approximately 855 foot long and has a beam of 103 feet. There is a crew of 920 tending to her every need. She can carry up to 2052 passengers in the lower berths and 2675 passengers’ altogether. You can experience a trip on a classic cruise ship, by travelling to Bermuda aboard the Carnival Fantasy. There is always sunshine when the Silver Cloud pays a call on Bermuda. This intimate cruise ship is the inaugural vessel of the privately owned Silversea Cruises. The vessel has been in service since 1994 and was first registered in the Bahamas. The ship has a tonnage of 16,800 GT and is over 500 feet in length. It has a beam of 71 ft and can reach speeds of 18 knots. The Silver Cloud has nine decks, with six set aside for passengers. The vessel can carry up to 296 holidaymakers and has a crew of 222. The glorious cruise ship the Carnival Glory has often brought the fun to Bermuda, by ferrying thousands of tourists to the island. The Carnival Glory is a conquest-class cruise ship. It is the property of Carnival Corporation & plc and is run by Carnival Cruise Lines. She was constructed in 2003 by the Italian ship building company Fincantieri, at a cost of $500 million. The ship was registered in Panama. The craft stands at an amazing 952 ft (290.2 m) in length with a gross tonnage of 110,000. The ship can make speeds of over 22 knots, having been fitted with two diesel electric propellers. It has a dazzling 13 decks and a crew of 1,150. They look after up to 2,974 passengers. This makes this wondrous cruise ship the crowning glory of its fleet. The Carnival Glory is also known for its onboard nightclubs, various swimming pools and its enormous water slide. Those wishing to travel to Bermuda on board one of the most technically advanced cruise ships in Europe should experience the MS Eurodam. The signature class ship is the largest member of the Holland America line. She was built at the Fincantieri shipyard in Marghera, Italy and registered in Rotterdam in the Netherlands. The ship has been in service since September 2007. The MS Eurodam is an imposing 86,273 tonnes and is 935 ft in length. The ship boasts 11 passenger decks and comes with a crew of 929. The vessel can carry up to 2,104 passengers and can reach a maximum speed of almost 24 knots. This is down to having a propulsion system using diesel-electric and ABB Azipods. It has been remarked that the Eurodam resembles Holland America’s Vista class ships. It has ten cabins with wall to wall windows, the majority of which are on the exterior. The Deck 11 “VT” class staterooms also come with Juliet balconies. If you like fine cuisine, the cruise ship has five dining rooms on board This is as well as an African themed bar and an Asian themed restaurant. There is also a theatre and artwork on display in the atrium. Quote The cruise ship is well-known in the industry for being on the cusp of the latest technological advances, including the most recent navigation technology. The Eurodam also cruises through the water, powered by six mighty generators. The amazing cruise ship the MS Marina has made several exciting trips to Bermuda in the past. The opulent Ocean class vessel is the property of the Oceania Cruises line, based in Miami, Florida, US. It has been called the largest upmarket cruise line company in the world. The MS Marina was initially constructed by the Fincantieri shipbuilding company of Italy. The ship was launched in 2011 and registered in Majuro in the Marshall Islands. 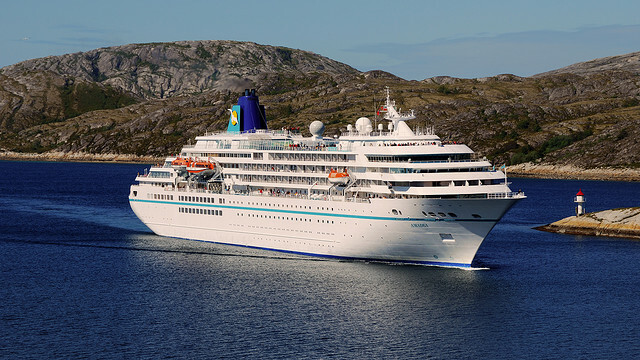 The MS Marina holds 1,252 passengers with double occupancy and has a crew of 780. It has over 600 staterooms, most with personal verandas. The cruise ship also boasts nine dining areas. They range from casual terraces to a Waves Grill by the pool and a Grand Dining Room, alongside other attractions. The vessel has an imposing 66,000 gross tonnage (GT) and is 782 ft (238.35 m) long. It can also hit speeds of up to 20 knots. If you wish to experience fine dining and luxurious comfort while travelling to Bermuda, then come aboard the cruise ship the MS Marina. The extraordinary cruise ship the MS Amadea has also paid many exciting calls to Bermuda. The vessel is the property of the Amadea Shipping Company. It is chartered out to its operator, the German company Phoenix Reisen. The ship was initially constructed at the Mitsubishi Heavy Industries shipyard in Nagasaki, Japan in 1991. The craft was originally called the MS Asuka and belonged to Nippon Yusen Kaisha. She was primarily registered in Tokyo. The vessel then changed hands in 2006 and was rechristened the MS Amadea. She was registered once more in Nassau in the Bahamas. The ship weighs 2,248 metric tons and has a 28,856 GT (gross tonnage). It is also 632 ft 7 inches in length. The vessel boasts in excess of 250 cabins, where over a hundred have their own balcony. The MS Amadea has 40 well appointed suites and two royal suites. This allows passengers to visit Bermuda in style! The cruise ship is also known for its speed. It can travel up to 21 knots, due to its two propeller propulsion system. Cruises to Bermuda are a great way to enjoy all this wonderful island has to offer. If you are travelling from the United States, you can leave from one of six ports: Baltimore, Boston, Cape Liberty, Charleston, New York, and Norfolk. Around 600 nautical miles later on the Atlantic Ocean, you are in Bermuda, docking for a few days at one of the three Bermuda ports at King’s Wharf, Hamilton and St George’s or laying anchor nearby. There are also cruises from Europe, mainly the UK and Norway. The season for Bermuda cruises is from April to November and there are plenty of options to choose from: six cruise lines have ships that sail to Bermuda, with durations from 5 to 15 nights and a few ports of destination. In total, there are over 170 cruises to Bermuda each year. With a Bermuda cruise, you are not only combining 2 holidays into one vacation, you discover the beauties of the Atlantic Ocean and of amazing Bermuda itself. You could even spend some time in the port from where you leave, extending your stay, giving you the holiday of a lifetime. You also save on the boring travelling time in airports and planes by spending it on a cruise ship, sipping cocktails, swimming in the pool, fine dining and all of it with a great view of the ocean. In addition, cruises are a good way to save money, as even when the ship is docked, you still stay on it if you wish meaning you don’t have to pay for accommodation in Bermuda! You will never have a dull moment if you choose to spend your holidays on a Bermuda cruise. From the moment you step on the ship until the day you disembark back at your destination, you will be on a magical vacation and able to enjoy the activities of the cruise while being taken to your magnificent destination, the graceful island of Bermuda. Visiting Bermuda on a cruise gives you the opportunity to see the Island from the ocean in its natural setting. You get to see them from the outside and from the inside, many cruises include stops in more than one port too, so you get to see other Caribbean islands as well! The advantage of a cruise to traditional holidays is that after your trip on land, you get to come back to your ship where you can relax, go out for dinner and finish your night with some of the entertainments offer by your cruise, all of this while being at sea. And even better, whenever you move to another port, it all goes with you. Like a resort but much more convenient, unusual and with a priceless sea view. This has been a rundown of the wide range of wonderful cruise ships paying a visit to Bermuda in 2014. If you would like to experience the utmost in comfort while travelling to this island paradise, then book yourself a place this season. You could have the holiday of a lifetime. That’s all for now! We’ll keep this page updated with info on the main liners calling at Bermuda in 2014. Remember, for Bermuda scooter rental with a smile, call us now on +1. (800).236.5100 to book your bike, or fast track your booking online for a 10% discount!